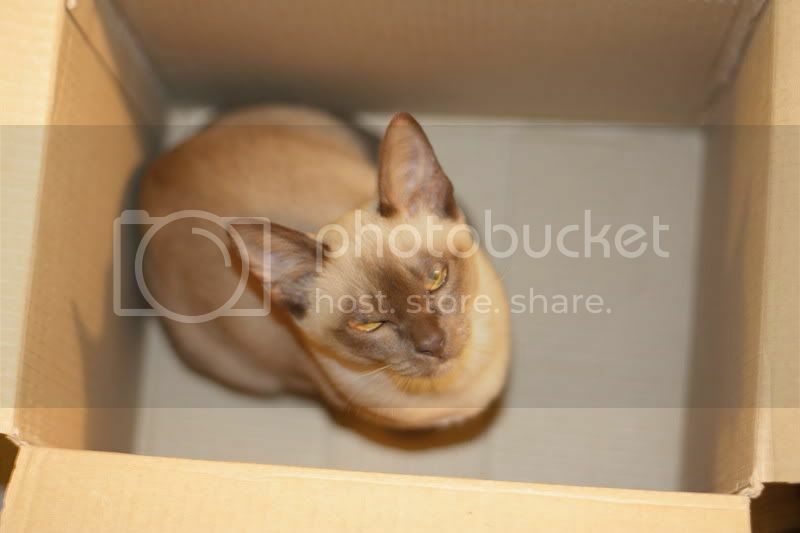 Two possible states for a cat in a box. See also http://xkcd.com/325/. Ah, but is the cat actually in the box or merely probably in the box? At that point, it's close enough to definite that you know your hands will be shredded as soon as you open the box. Probably won't be in the box much longer. Kitty does not appear to be amused. The color of it's eyes!